Oddly disturbing or oddly charming? So my goal this week was to find a local hearing aid place because travelling to Manhattan every times I needed a checkup would wear me down - especially once I start working again. On Tuesday I went to a place in town which carries Widex brand products but the audiologist thought I would be better served by a high powered hearing aid. He had me demo the basic model and it definitely improved my hearing. Of course we were in a quiet room and his voice was very deep so that helps! When I got home I called my insurance company and they don't cover hearing aids but there is a place one town over where I would get a 10% discount. I was expecting to spend about $3000 so that was enough motivation to set up today's appointment. The audiologist spent an hour with me going over various aids, putting me in the sound booth and giving me tests and then demo'ing products. It was the first time since this ear debacle happened where the specialist wasn't being dour about my prospects! I went with the Siemen's Pure (https://us.hearing.siemens.com/hearing-products/receiver-in-canal-hearing-aids/pure/) in the end because customer service appears to be so excellent here. Shopping for hearing aids is tougher than buying a mattress or car because they have different names and ways of describing the same features so its overwhelmingly confusing. 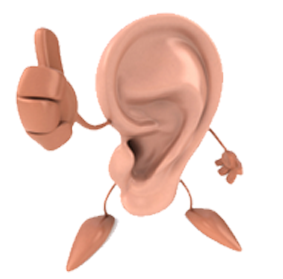 He was really surprised a cochlear implant was even suggested as a viable alternative and said in his many years as an audiologist he's only had two folks happy with their cross-hearing aids. In hindsight I shouldn't have been surprised a research hospital was pushing newer tech! Anyway they took a mold of my ear and sent the hearing piece off to be made and hopefully it will be back at the end of next week! After I get the hearing aid I will return in two weeks for fine tuning and then every 4-6 months for hearing aid tests and cleaning of the device itself. I can also go in as often as I want with any concerns. I was worried about how often I would need hearing tests in the future but having a specialist say this is the scheduled norm is one less thing for me to stress over - plus I bet they will just bill the insurance for that so its a win-win.